DEAR JERRY: One of my favorite music stores has a special section where each week's Top 10 CD albums are displayed. It was no surprise to see Adele's "21" at No. 1, but the shocker was finding the Beach Boys at No. 3, with "That's Why God Made the Radio." Unlike many "new" albums by famous 1950s and '60s artists, most of which are anthologies, "best of" compilations, and repackages of older releases, their album contains very recent recordings. Since their debut album was close to 50 years ago, is there anyone else on the this year's charts, with previously unreleased recordings, whose first LP pre-dates that of the Beach Boys? —Hans Van Ardsley, Lancaster, Pa.
DEAR HANS: Oh yes, and by 13 years! From "Surfin' Safari" (1962) to "That's Why God Made the Radio" (2012) is indeed 50 years. FYI: My favorite cut on their CD is "The Private Life of Bill and Sue." If your question asked "is there any GROUP," the answer would be no. But with the competition open to "ANYONE else on the charts this year," the answer is the venerable 88-year-old Doris Day, who earlier this year raised the bar in this category to the stratosphere. After four years as the featured female vocalist with the Les Brown Orchestra, Columbia, in mid-1949, gave Doris her first solo LP, "You're My Thrill" (Columbia CL-6071). As the number indicates, this is the 71st LP from Columbia, the company that invented the long-playing record a year earlier. Like most others in the "Popular Music" 6000 series, "You're My Thrill" is a 10-inch disc with eight tracks. Most in the music world were indeed thrilled to see Doris Day back on the album charts, this time with "My Heart" (Arwin Productions 656C6KK), and nearly 63 years after "You're My Thrill." Another angle to the story of Doris Day's resurgence is the 47-year gap between "My Heart" and "Love Him" (1964), Doris Day's last charted LP. That span is not likely to be surpassed. DEAR JERRY: Is there an early '60s tune by Roy Orbison called "Walk Away"? The only title I found that comes even close is "Go Away," but when I heard it I knew it is not the right one. My only other clue is it was played on the radio at the same time as Pat Boone's "Speedy Gonzales." DEAR SHARON: I'm surprised you were able to unscramble as much as you did, what with both songs playing at once. On a more serious note, your referencing "Speedy Gonzales" (Dot 16368) was a huge clue because it pointed to the summer of 1962, and that led to a speedy solution. The full title is "I Can't Walk Away" (Dot 16367), and it happens to be the Dot single issued right before "Speedy Gonzales." Complicating your search considerably is that "I Can't Walk Away" is actually by Chase Webster, who some might say sounds a bit like Roy Orbison at times." IZ ZAT SO? Just one year before Chase Webster and Pat Boone had consecutive Dot singles, their soggy paths first crossed. In March 1961, Chase's own version of a song he wrote, "Moody River" (Southern Sound 101), came out to glowing reviews. Billboard included it with their "Special Merit Spotlight" singles, gave it a four-star rating, then added: "A strong performance of a tragic story about a girl who drowns in Moody River. Song casts a moving spell and Webster sells it with feeling. Watch out [for this one]!" Nevertheless, Webster's original version never got off the ground. Pat Boone's nearly identical cover followed a month later, and by mid-June reigned as the nation's No. 1 song. Because he earned a songwriting royalty, on sales by Pat Boone and everyone else who recorded it, Webster at least got a substantial slice of the "Moody River" pie. We're not sure if he's above same river, but in "I Can't Walk Away" the despondent singer is on a bridge contemplating a jump. That is the temptation from which he couldn't walk away. Ben Gibbard, the Death Cab for Cutie frontman, has announced an Oct. 16 release date in North America for ‘Former Lives,’ which is a 12-track solo collection that will feature guest contributions from Superchunk drummer Jon Wurster, Son Volt’s Mark Spencer and singer-songwriter Aimee Mann. Gibbard has been working on his ‘Former Lives’ songs for several years, but didn’t really start focusing on completing the tunes until a few years ago when he moved from his former hometown of Seattle to Los Angeles, where he quit drinking, married Zooey Deschanel and went on a health kick that eventually included him running the Los Angeles marathon. Regardless, he never really planned on releasing a solo disc and wants to be clear he’s not leaving his Death Cab mates behind (although he has since split from Deschanel). 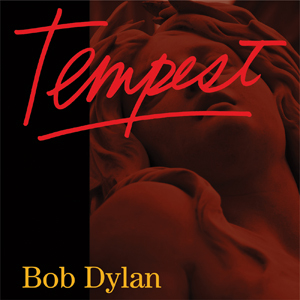 Tempest is available for pre-order now on iTunes and Amazon. 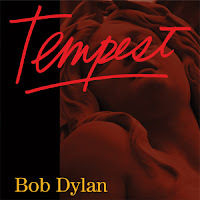 The new album, produced by Jack Frost, is the 35thth studio set from Bob Dylan, and follows 2009’s worldwide best-seller, Together Through Life. Bob Dylan’s four previous studio albums have been universally hailed as among the best of his storied career, achieving new levels of commercial success and critical acclaim for the artist. The Platinum-selling Time Out Of Mind from 1997 earned multiple Grammy Awards, including Album Of The Year, while “Love and Theft” continued Dylan’s Platinum streak and earned several Grammy nominations and a statue for Best Contemporary Folk album. Those four releases fell within a 12-year creative span that also included the recording of an Oscar- and Golden Globe-winning composition, “Things Have Changed,” from the film Wonder Boys, in 2001; a worldwide best-selling memoir, Chronicles Vol. 1, which spent 19 weeks on the New York Times Best Seller List, in 2004, and a Martin Scorsese-directed documentary, No Direction Home, in 2005. Bob Dylan also released his first collection of holiday standards, Christmas In The Heart, in 2009, with all of the artist’s royalties from that album being donated to hunger charities around the world. This year, Bob Dylan was the recipient of the Presidential Medal of Freedom, the country’s highest civilian honor. He was awarded a special Pulitzer Prize in 2008 for “his profound impact on popular music and American culture, marked by lyrical compositions of extraordinary poetic power.” He was also the recipient of the French Commandeur des Arts et des Lettres in 1990, Sweden’s Polar Music Award in 2000 and several Doctorates including the University of St. Andrews and Princeton University as well as numerous other honors. 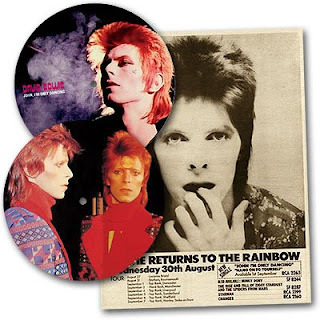 EMI are set to release a limited edition 7” picture disc of David Bowie’s "John, I’m Only Dancing" in celebration of the song’s 40th anniversary. The picture disc will be available from September 3rd on EMI. The A-side has a still from the Mick Rock directed promo video filmed during rehearsals at The Rainbow just a week prior to the original single issue release date of September 1st, 1972. The AA-side has one of Sukita's more beautiful portraits of Bowie taken at Radio City Music Hall in February 1973, just three weeks after the completion of Aladdin Sane. SLI Systems ( www.sli-systems.com ) today announced that SoundStage Direct ( www.soundstagedirect.com ) has seen its online conversions and revenue per visit increase more than five times since implementing the company's full-service site search. SoundStage Direct, an online retailer with the largest selection of vinyl LP records and newly released vinyl LPs, has also improved the overall site search experience with more relevant search results, and the addition of related search suggestions, refinements, and Rich Auto Complete, all of which contribute to higher conversions and order values. 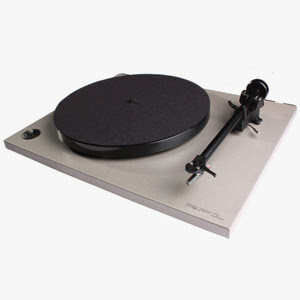 SoundStage Direct sells new and reissue vinyl LPs along with LP turntables and related stereo equipment, and caters to LP enthusiasts who believe sound quality of vinyl records greatly surpasses that of CDs. 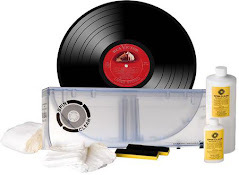 Seth Frank, CEO of SoundStage Direct and a vinyl record fan since childhood, founded the company eight years ago in his home, and now offers about 22,000 LP titles from the company's headquarters in Doylestown, Pennsylvania. SoundStage Direct had been using site search from Nextopia, but the solution did not allow for precise searching by customers, nor did it offer refinements or suggestions for similar searches, which encourage customers to browse selections from other bands or genres. "With our previous site search, our visitors would get results that were not specific to the keywords," Frank said. "For instance, if they searched for Mick Jagger, they'd also get results for Mick Jones from the Clash. That's just wrong." When he asked his previous provider to make improvements so the search results would be more relevant, Nextopia responded with options that would all incur additional expense. In contrast, Frank said he has found SLI's full-service approach to be extremely responsive and accommodating without adding to the cost of the solution. Improved Site Search Contributes to Successful Holiday SeasonBefore the start of the 2011 holiday shopping season, Frank looked into implementing SLI's full-service SaaS-based Learning Search, on a recommendation from a friend. After a short deployment period, Learning Search was up and running on the SoundStage Direct site in time for the crucial Black Friday kick-off to the holiday shopping season. "Right away, we could see that search results were much more closely related to keyword terms," Frank said. "And because Learning Search learns from the way our customers search for LPs and applies that information to future searches, results become even more relevant over time. We also now offer search suggestions, which help customers find LPs from similar musicians - which can motivate them to buy more." In addition to Learning Search, SoundStage Direct is using SLI's Rich Auto Complete feature, which provides keyword suggestions and product images as soon as site visitors begin typing a search term in the search box. Visitors who click on Rich Auto Complete suggestions are nearly twice as likely to convert than visitors who use the search box. The company will also soon use SLI Mobile to power the site search on its mobile commerce site and address the needs of its growing audience of mobile shoppers. As SoundStage Direct's search experience has become more robust, more shoppers are using site search, Frank said. "Instead of browsing on a category page, like jazz or hip hop, shoppers are going directly to the site search box," Frank said. "That's good news for our business, because we've found that customers who use search will spend more and buy more than people who don't use search." "For online retailers with large product catalogues, site search offers a way to increase customer engagement, and guide customers to relevant product choices while helping them narrow down the options," said Shaun Ryan, CEO of SLI Systems. "And tools like Rich Auto Complete and related search suggestions also lead customers to the products and content they need, encouraging them to browse and buy." 4. D Watusi - Brother & Sister 7"
9. Ty Segall Band - Slaughterhouse 10"
19. Natural Child - Gas Station 7"
8. 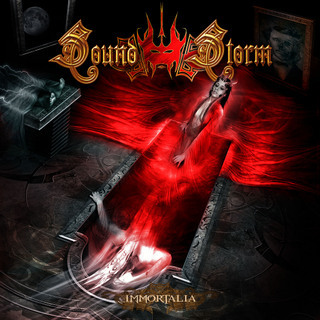 Toxic Holocaust/Midnight - Japanese Benefit 7"
Italian symphonic metal act Sound Storm's new album is called 'Immortalia,' and will be released via Scarlet Records and the band has recently revealed the album cover art. 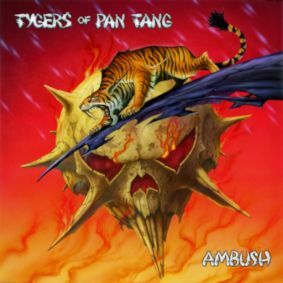 "Ambush" features 11 tracks of handsomely crafted melodic rock, recorded and produced by Chris Tsangarides who produced the band's historic "Wild Cat" and "Spellbound" albums in 1980 and 1981, respectively. in another part of the world, vinyl still has an audience!